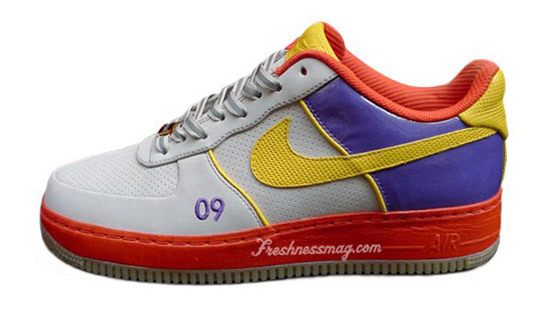 With the All-Star game approaching, as well as the slam dunk contest, in which my homie Dwight Howard is going to beast, the infamous sneaker customizer DJ Clark Kent has teamed up with Nike once again to spawn two limited edition Air Force 1s. 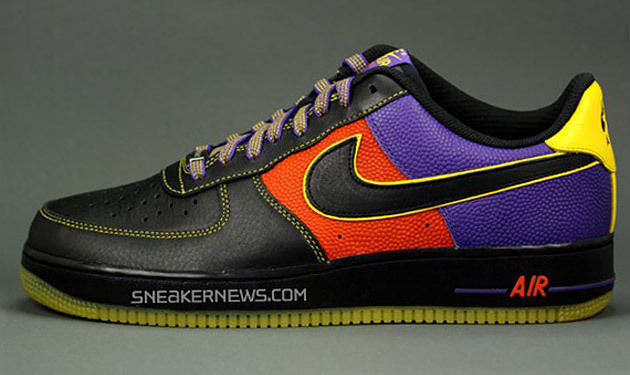 The two Er Forces will feature the Phoenix Suns colorway, which happens to be the city hosting the all-star game. The black pair will be made of basketball textured panels, while the grey pair will have patent leather. Both will also feature unique laces and lace locks by accessory company Starks. A release is expected around all-star weekend (Feb 13-15), with the black joints dropping at select Nike Quickstrike* retailers and the grey version dropping at Hyperstrike** accounts (the most exclusive of the exclusive).